Private events and special gatherings deserve (and require) the same attention to detail as business meetings or incentive trips. After all, personal service and professionalism are important in any setting! Ambitious goals, strict budgets, untested venues, large crowds and an abundance of "competing" events make these occasions the most difficult and expensive to plan creatively and execute perfectly. As we say, "when they are good, they are very, very good" and when they are bad...well, at that point it's too late. 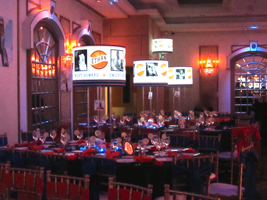 With our help, you can be confident your event will be superb. We'll bring brilliant thinking and precise execution to your occasion. Not only can working with Only Perfect Parties save you time and hassle, we are accustomed to working with a wide range of budgets, so we can save you money as well! Through leveraging our amazing vendor relationships, you can be assured that your group will be getting the best services for the best prices. Only Perfect Parties has changed the way events are created and executed, our events will make a statement that is reflective of the Mitzvah child and their families! We take the time to discover what’s important to you and create a celebration reflective of your dreams while providing cost-savings tips to help maximize your budget. Over the years we have developed flawless relationships with the best the event industry has to offer and we have mastered the art of matching our clients with the perfect venue and vendor’s that will exceed our clients expectations! Our design services will take your vision and turn it into reality, we will create an environment that truly has the ”WOW” factor! We believe that each event is a once-in-a-lifetime experience, and we never settle for anything less than perfection! Flawless attention to detail, our creative and innovative approach to design and theme development and the personal attention that we provide our clients with set us apart from the average party planner. Only Perfect Parties is there with you from concept through completion, behind the scenes, negotiating the very best pricing and packages available, managing all of the vendors, overseeing the entire décor installation, ensuring your event runs timely and seamlessly and most importantly, guaranteeing that our clients actually feel like guests at their own affair! Mazel Tov! Let us take the stress out of your next party. 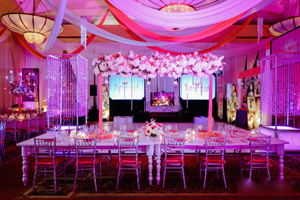 Large or small, elaborate or intimate, our expertise can make it perfect. Copyright © Only Perfect Parties. All rights reserved.